Spring Break for us this year was a trip to Dublin, Ireland. We're home now, and I'm completely behind on almost everything I need to do that requires a computer because the very first day on our trip my hair appliance fried. I used my converter and adapter like I always do when we are on a European vacation, and was not anticipating any challenges, but for some reason this trip left me saying, 'What's that smell??? OH MY GOSH!! It's the straightener!" The smoking appliance went directly into the garbage, and it left me way too chicken to plug in my laptop. ;) It also left me with curly hair for the rest of the trip, lol. That aside, we had a fabulous trip and I'm sharing some of the pictures below. I also want to thank each of my visiting writers who were kind enough to provide posts for the time we were gone, and each and every person who came over to visit and support them with your comments. You gals/guys are really awesome!! 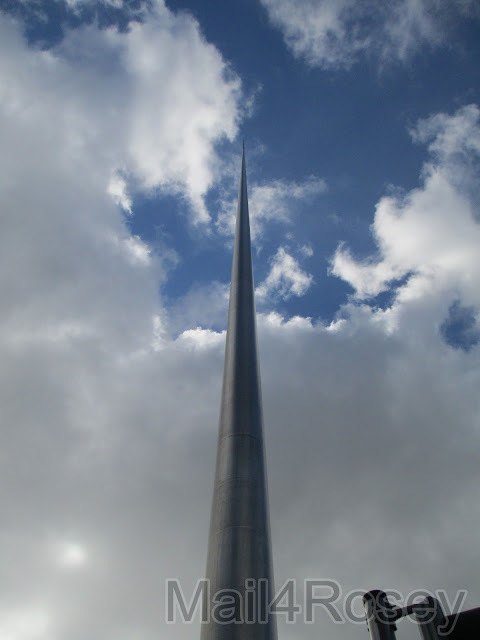 This is the Spire of Dublin. It's about 400 ft. tall and lights up at night, which made it very easy for us to find the direction of our hotel (which was very close to it) no matter where we wandered to in the city. 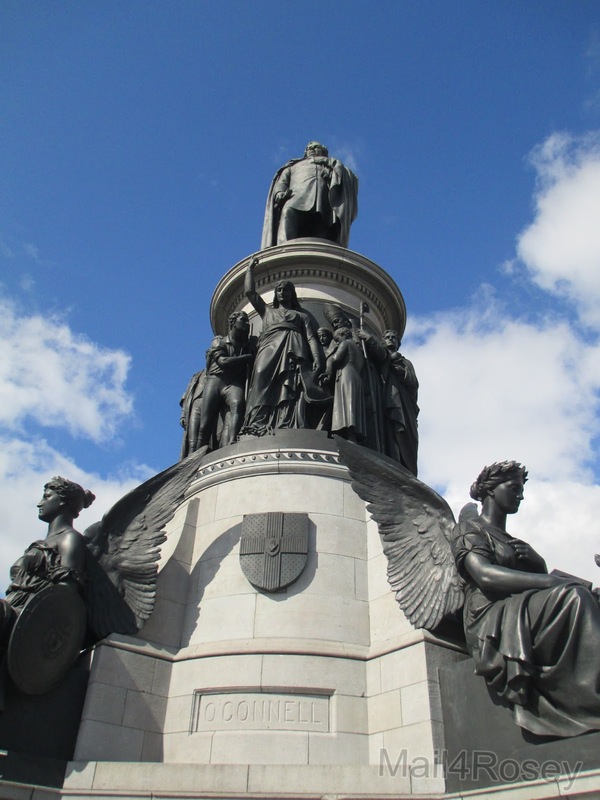 The O'Connell Monument was one of many statues on O'Connell Street. This one was named after Daniel O' Connell, an Irish political leader in the early 19th century. 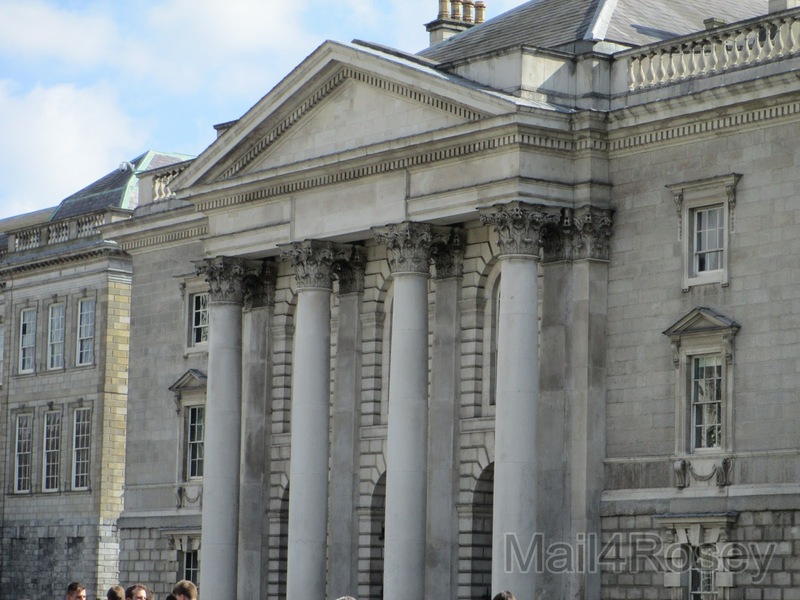 We went to Trinity College and it was love at first site. They have the most amazing library, with some of the oldest, most wonderful books in the world, including The Book of Kells. Pictures were not allowed inside The Long Room, but it was beyond fabulous, and easily one of my favorite parts of the trip. Despite chilly temperatures, artists and musicians still made their way out onto the streets. The work of each person we happened by was nothing short of incredible. Of course there was a Hard Rock Cafe, and we were excited to spot it (funny how that happens, isn't it?). 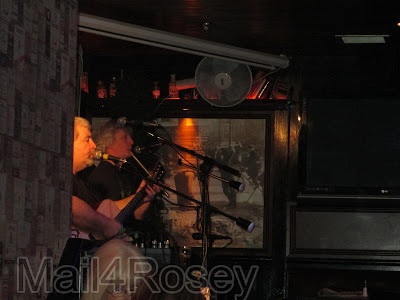 We like Hard Rock but we simply took a picture and moved on because we wanted to experience the more traditional Irish dishes, including a meal we had at this pub, complete with live music that featured the flute and a button accordion. 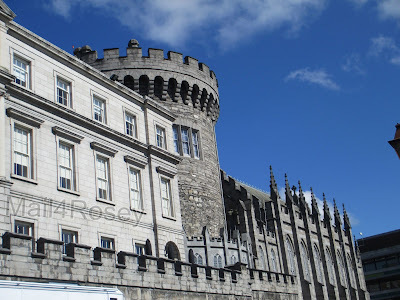 We were excited to go to Dublin Castle, only to find that it is closed until mid-summer. It was impressive from the outside, so I'm going to assume the inside was equally as nice. 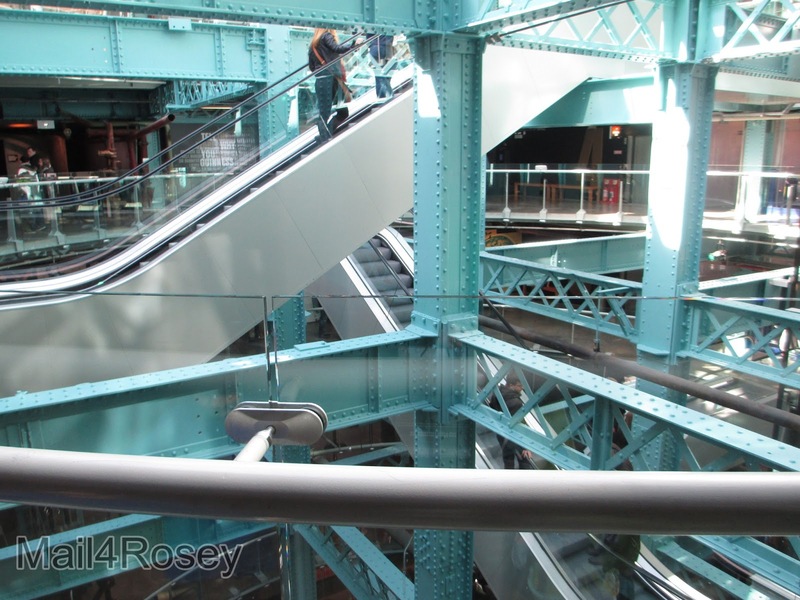 Walking through Guinness turned out to be really fun, and the view at the top came from an all-glass room filled with a LOT of people and music. You could see every direction of the city from up there, and the windows had frosted words to tell you what it was you were looking out towards. Tom Cruise was in town to see the premier of OBLIVION and people were lining up on the streets, and even climbing on the gates and in the small trees on the median strip to try and get a look at him. He pulled up right as we were walking by (on the other side of the street) and screamed out, 'Let's make some noise!' to which the crowd obliged and then he promptly disappeared into the building. 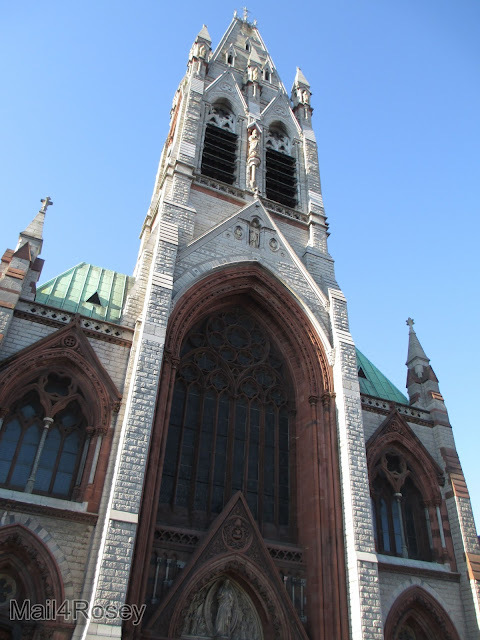 The architecture on the buildings and the churches was beautiful, and it was everywhere you looked. 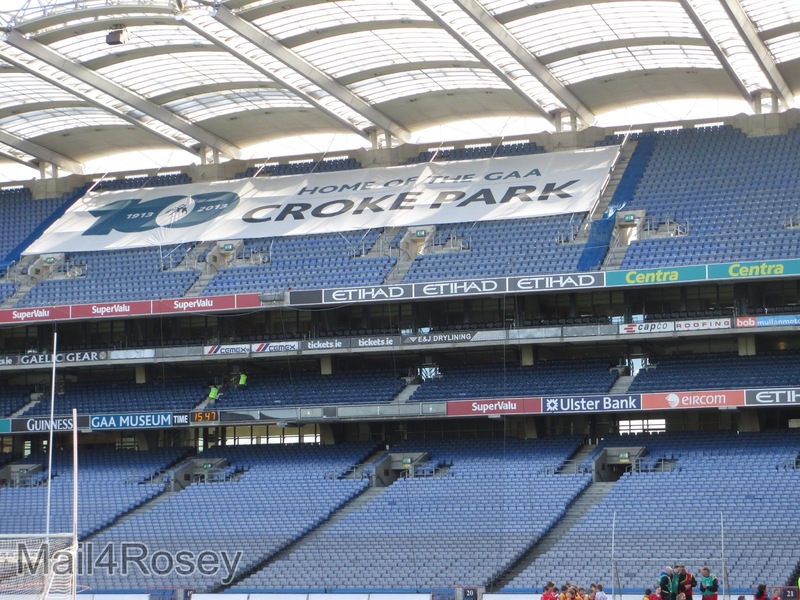 We don't usually pay for tours when we vacation, but we did want to see and learn all about Croke Park, the home of the principal stadium and headquarters of the Gaelic Athletic Association. 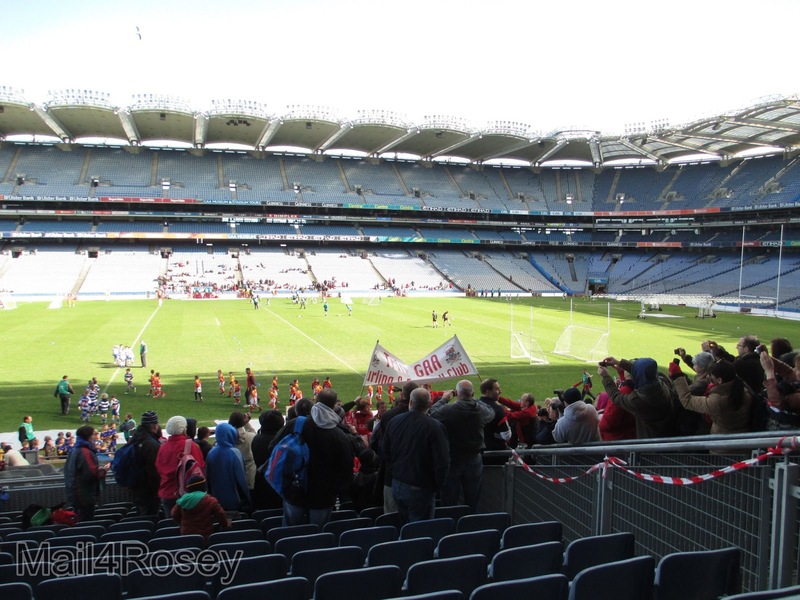 The love of sport was evident here, and the Bloody Sunday history of the place was heartbreaking. It was wonderful to see the place now a very happy one, full of children of all ages enjoying the field and the museum room with hands-on activities that allow the kids (and my husband, lol) to enjoy running around and testing their skills at kicking a soccer ball, using a hurling stick, and the like. I think visiting during the season would have been fabulous. I can just imagine the energy there during game time. It was our first trip to Ireland, and the one thing that stood out, besides the beautiful everywhere, was that the people were so nice. Everywhere you went, the people went out of their way to be kind, it was a nice change of pace, and a great place to visit for Spring Break. What an amazing vacation! I've always wanted to go to Ireland and it was great to see all your pictures. SO glad that you had a nice time! Thanks. You must be getting excited about your trip about now too. Hi there: I've connected with you through the Friday Blog Hop. Loved seeing your trip to Ireland. I've always wanted to go there myself. I just love seeing those old churches. They are so beautiful!! What a wonderful way to spend Spring Break!! I love the old churches too! What an awesome vacation. I love the beautiful buildings, great pictures. This is on my travel bucket list! I thought the buildings were amazing too. Thanks for stopping by. I'm following back. Thanks for stopping over. Does sound like an awesome vacation indeed. Nice to find a spot where everyone is nice and at least Cruise didn't jump on any couches. 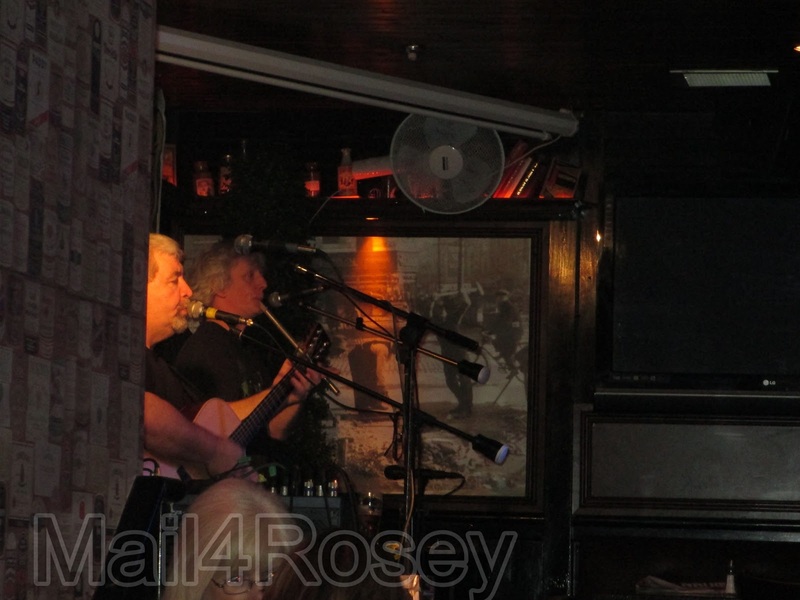 It is great that you got to visit Ireland and had an enjoyable time Rosey! Interesting post with wonderful pictures. Have a good Sunday. Oh wow! Just wow! How fun to see all of your pics. Looks like you went to some amazing places and had a great time too! WOW absolutely amazing! I'm completely jealous, looks like a fantastic trip. LOVE Dublin! Great photos - looks like a fantastic trip. Would love for you to come and linkup to Travel Tuesday next week - we love all travel posts! Thanks for the invite, Kerrie! What a wonderful vacation! 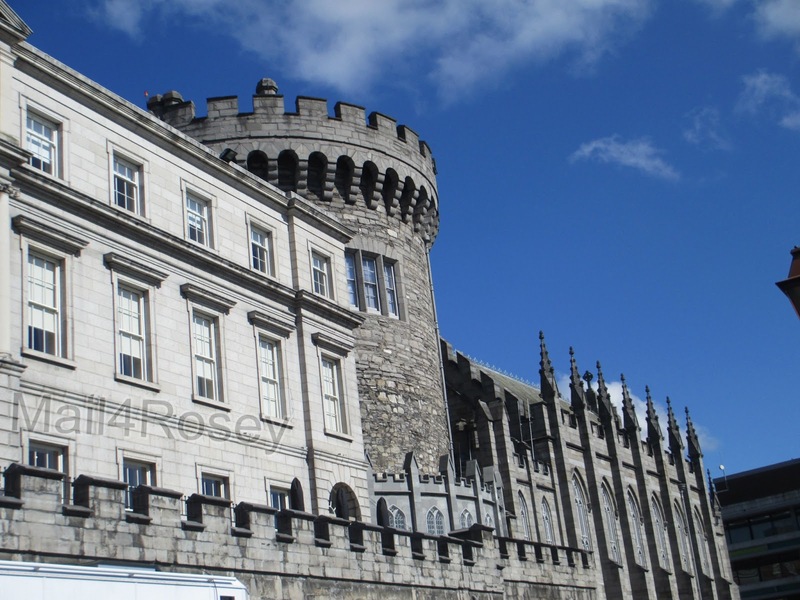 My husband is part-Irish, and visiting Ireland is definitely on our bucket list! So many places to see in Ireland... everywhere actually. I wish I'd have started my love of travel much earlier in life. No way we'll get to everything on our list before we kick the bucket, lol. Ah, Dublin (sigh)! You're bringing up so many nice memories. I had a really good time in Dublin and you're right, people are so nice, warm and welcoming, it made me feel like home. Glad you had such great time too. Your Smoothies today made me want to hightail it to a tropical place, by the way> those were gorgeous. What a wonderful trip for you and your family, Rosey!! My husband and I went to Ireland in 1999, and we spent a day in Dublin. It's a fascinating city, isn't it? We took a hop on/hop off bus tour -- a good way to see the city's highlights and get some information on what you're seeing. 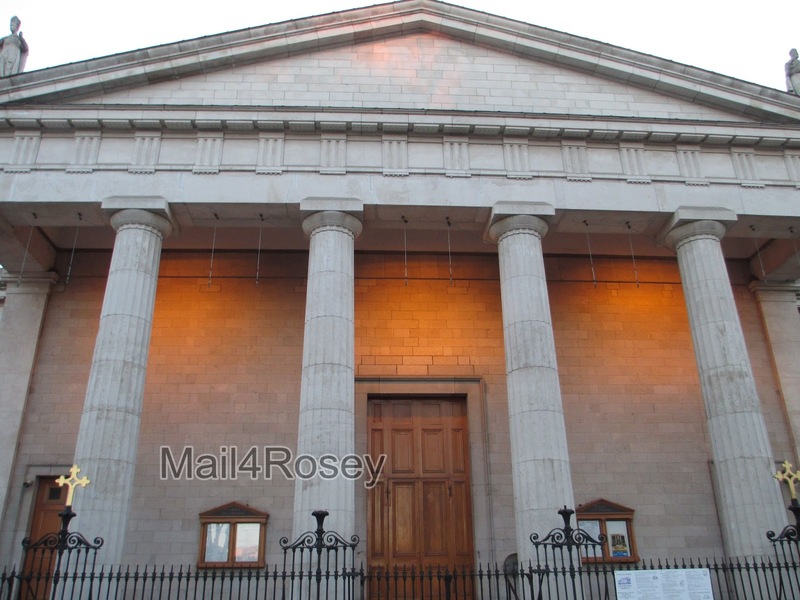 I would LOVE to see the Book of Kells; my in-laws saw it when they were in Ireland. We walked Grafton St. and got a couple of trinket items for friends and family. I wanted to see the Molly Malone statue. It's on so many things depicting Dublin that I just wanted to see it, lol. That looks like a wonderful spring break! How lucky you are to be able to travel to such a great place. The photos are fabulous! Thank you, it was a fabulous place. Big props to the people in Dublin for being so nice in a city that's so busy (no one was rushed or stressed anywhere we went despite the crowds). Ireland is on my bucket list - I SO want to get there! Oh what a wonderful trip. I must make it to Europe someday, it is on my bucket list for sure! Oh how wonderful! I would love to go to Ireland! I hope that once all the kids are older, we will be able to travel! We usually don't, but every once in awhile we do, and we're never disappointed when we do. I cannot wait to take Brian and Reagan to Ireland. The architecture alone has me excited!! Sounds like a great trip for you! Dublin was VERY kid friendly. There was literally something to do for the younger crowd every single place we went. Just tons of cool options. Oh, Oh, Oh, this is my dream trip! I was just talking to my husband today about going there! Your pictures are wonderful! Did you make it out to see the cliffs? Bummer about not getting in the castle. That's one of the main reasons I want to go- to tour the castles! Looks like you had such a great time Rosey! We didn't go outside of the city because there was so much to do and so little time to do it. If we'd have been there for a longer stretch of time though, we wouldn't have missed it. Thanks for dropping in at North of Wiarton, from the Let's Get Social. 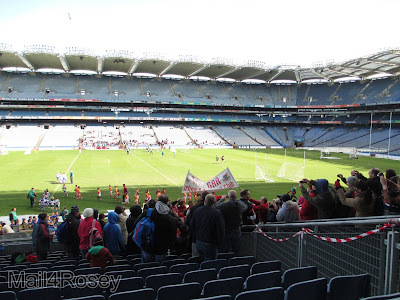 Really enjoyed reading and seeing your trip to Dublin through your photos. How exciting ! I have a FB friend who lives in Ireland. FB and the blogs too are great for introducing us to people all over the world, aren't they?? :) Thanks for stopping over. I can't believe how perfectly your timing worked out to see Tom Cruise!!! I'm so green with jelly over your trip, but I love, love, love seeing the photos. I hope to get there some day too! WOW that sounds like a wonderful trip! I love your photos!!! I heard it is really pretty there. It was nice, Alissa. The architecture was very pretty. I've been to Dublin, and it is a wonderful place! I'm sure you had a terrific time. I hope you got outside of the city and enjoyed the beautiful green mountains. I would love to go back! We didn't have enough time to venture out of the city, but I know that you're right and it would have been wonderful to do so. This looks soooo awesome! The architecture is just gorgeous. I really love the castle. My husband has always wanted to see a castle in person :) Looks like you had a fabulous trip! Glad you made it back safe and sound! Wow, what an amazing trip you had! 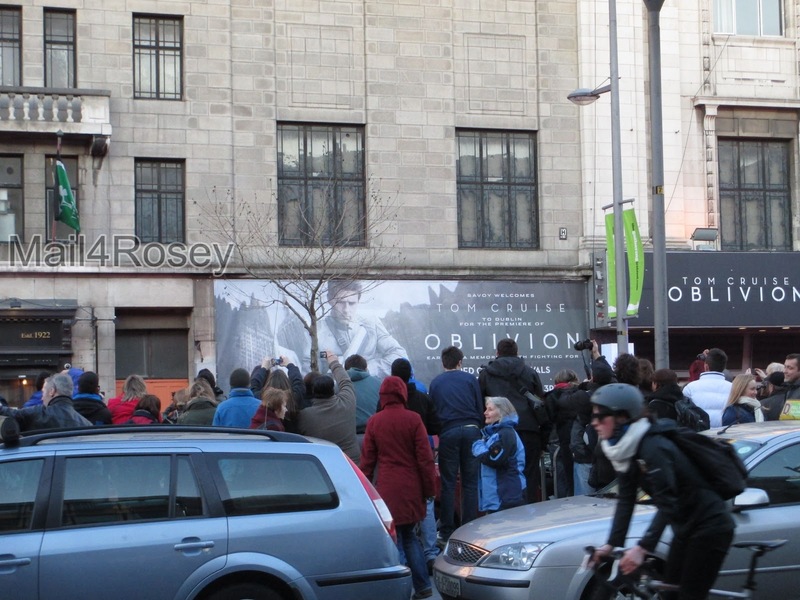 How funny that you go to Ireland and see Tom Cruise there. I'm totally w/ you on the Hard Rock Cafe thing. It's cool to see it but who wants to eat there when traveling abroad?! That's such an awesome coincidence that your hotel was near the spire. I have no sense of direction so having that as my landmark would be so helpful! We love Ireland! The scenery is breathtaking and, as you said, the people are extraordinarily pleasant, helpful and giving. On some of the beaches, with the sun filtering through the clouds, I could just imagine Jesus walking on the water! Beautiful post! WOW amazing photos, got me dreaming of Ireland now! Awesome photos. Wanted to say hello. what a beautiful trip!! steve and i were just watching a show and dublin was one of the spots the characters visited...amazing. so glad you had a sweet trip. that church is incredible! sending love and wishing you a wonderful week! That church was amazing and I totally thought of you when we were vacationing. I knew you were going to have your sweet little one before we got back. I saw her pictures, she is BEAUTIFUL! How fun!! I would love to go Ireland!! The old buildings are so beautiful! Even the post office was amazing, lol. Hi there! Thanks for stopping by with your lovely comment, it looks like you had a fabulous trip and such great photos too! I am now following you by gfc, would be great if you follow me back, thanks!! You lucky dog. I've always wanted to visit Dublin. Travel envy has developed here. I love to travel, there are more places I'd like to see than I can count (or afford ;) ). Thanks for the visit. Angkor Wot is #1 on my bucket list, but it's not a place I'm going to get to go, methinks. Wow. This sounds like a fun place to visit. Love the pictures. Beautiful. Breath taking. Thanks, Brandy. It was a fun/beautiful place to visit. I liked all of the kid activities...they were literally everywhere. Looks like such a fun trip! Love all the architecture pictures, very beautiful. Thanks for stopping by my blog! We did, Antoinette, and I was glad we missed the really cold snap they said broke right before our arrival. I'm so envious,Rosey! Visiting Ireland is on my bucket list! If you saw my bucket list for travel you would laugh. I would have had to start at 2yrs old to meet 1/4 of it. It's so long I quit adding to it (though I do add to it mentally, lol). What an incredible trip! I have never been. Your pictures are amazing. Thanks, Lisa. It was nice to visit a place w/lots to see and do! This is my favorite place to visit. It looks like you had a wonderful trip. ohhh what a fabulous place to spend Spring Break in. So jealous!!! Looks amazing. And absolutely beautiful! Thanks, Lindsey. Your Vanilla Pudding Cookies looked delicious on your post today. Oh Rosey, your trip to Dublin was fantastic. I love seeing all of the old architecture but the modern structural art in the escalators is a welcomed change of pace. I love modern but admire the old, too. You have a new photo, too, for your profile. Nice to have a great face with a great blog! Oh and that scarf is just where I tieds the tassles together and then it just loops twice = EASY. I like easy, and thanks for the tip! Thanks for stopping by and leaving such a sweet comment on my blog. Oh Rosie, we were on each other's sites at the same time. Yes, that is my next step to get the pin or birdie on my posts. I was going to take the time and do that too last night but I wanted to stop being at the computer and watch the AMA award show. I LOVE BRAD PAISLEY!!!! hahahahaha. Those are fantastic pics! I have friends who have visited and say that It is GORGEOUS. I haven't been out of the states so its nice to have some pics of Dublin that aren't from a textbook or of the inside of a bar (all of my friends are in pubs)! Thanks for sharing at Frugalfitfamily! Your trip looks FABULOUS!!! You are so lucky! I dream of going to Ireland and Scotland one day to explore my roots! You should! I bet you would have a blast and I'd love to read your write-up on it! What a beautiful change of pace. Wow you did that in one week! 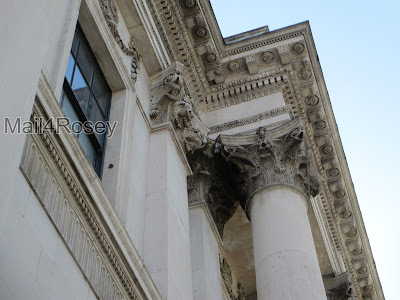 Special request for a Wordless Wednesday? I would love to see inside that library. We were allowed to take pictures there? They did not let us take pictures. Pity too because it was stunning. Glad you enjoyed Dublin!! It truly is a wonderful city... albeit a little expensive! 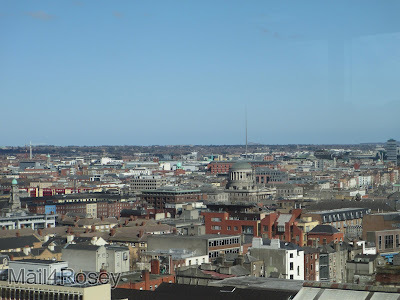 I pretty much have the same shot from the top of the Guinness factory - great city to walk around and a definite must see!! I agree it is a good place to see. Guinness was CROWDED at the top, but it was awesome still the same. Some super shots---like the street art--and I LOVE the church photos!!! I love those churches too. I'm always amazed at how massively huge and detailed they are, it's always wonderful/humbling to see. 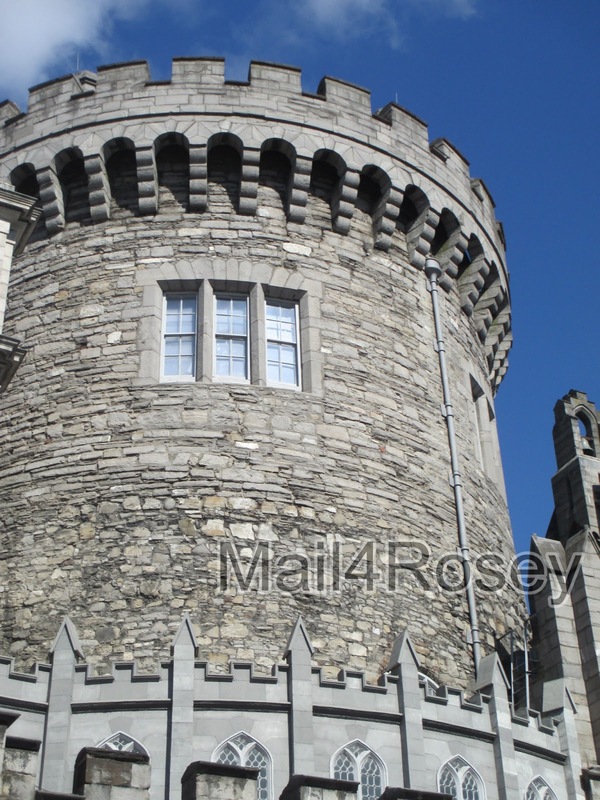 Beautiful photos of Dublin. A very interesting trip! Lucky you! Travel to Europe is on our wish list but we've never gone. What a wonderful chance to see historic and scenic things- gorgeous buildings. Did you have afternoon tea? See any folk dancing/Irish step? Try a new food? What a wonderful adventure and experiences! I enjoy these! Thank you for sharing. I'm so glad you had a wonderful time! It is the best thing to find out that the people (the most important part) are caring and delightful. I've been here...trying to get back into the computer. Trying to balance. Thank you, Colette. You're right, the people most usually do make the experience. Great pictures! Thank you so much for stopping by Adventures at Greenacre. I am following you back on Bloglovin, GFC, and Google plus. I have never been, but you make me want to visit! It was a fun place to visit, def. a lot of stuff for your little ones to do. Awesome vacation! I really love your photos. It's my dream to go to Ireland someday. Sooo jealous lol! Not only because of the awesome trip but Tom Cruise! Yeah, he's kinda weird now but he's still adorable! What an awesome vacation! Thanks for sharing all the photos as well. I've flew over Ireland when I went to England, but would love to visit just once! We've been to London, but it's my husband's dream trip to just rent a car and drive all over the countryside there, for days...getting lost and just exploring the land. He's more adventurous than I am, lol, but we may do it someday just the same. OH my goodness! What a fun trip. Thanks, Felicia. It was fun. WOW!!! Thanks for sharing all these awesome photos! Amazing. Wow! What a gorgeous vacation, so glad you and your hubby enjoyed your spring break! I have always wanted to travel to Ireland, the architecture and countryside just look amazing! Your retirement post was a good one today! This is a trip of a lifetime...what an experience this had to of been! Kudos to YOU my friend. It was nice. Your camera work over at your place is so nice, I would have loved to have had a decent camera rather than a point and shoot while we were there (thought I was grateful to at least have what we did). :) Thanks for the visit. Sounds crazy, but I think I would have loved to of seen the calk drawings from that guy the most. Those look so cool! Doesn't sound crazy to me, it was nice! Looks like you had a fabulous trip, not counting the hair appliance getting fried. I sure enjoyed your photos, brought back memories of my trip there. Dublin is such an amazing city. I have a Dublin trip on my sidebar if you want to take a look. Thanks for the memories, I enjoyed your tour. Judging by all the comments, I have to say that these vacation posts might just be your thing, heehe. I loved seeing all the photos of your adventures and what luck with Tom Cruise! It would be so cool to see ALL of these places. Love it! Ah...to travel for a living...that would be a dream job. I can't even imagine. Well actually, I can... ;) And then reality sets back in. :) Thanks for the visit. It looks like you guys had a wonderful vacation. Ireland is on our list of places we would like to visit, but we've put off overseas traveling for now. There's always a chance we will end up stationed overseas, and then it will be easier (and cheaper) to travel in the area around our base. In a few years we will probably go overseas to vacation, even if we are still state side, though. :) We want Elliott to have at least driven through every state in the country before he graduates high school, though, so we still have a ways to go before we vacation on a different continent. My son was hoping to get stationed in Italy for the very reason you mentioned. I'm glad he didn't. ;) Knock on wood. Thanks for the virtual tour. I love the architecture! I do too! Thanks for the visit. I have to question myself - how in the world did I miss this? You went to Ireland for spring break? That is awesome. It looks beautiful there! I have always wanted to go - how lucky and blessed you are. Eh, too late, it's long gone. I didn't even know they had such a thing. Straighteners are def. not inexpensive though, that's for sure. Absolutely beautiful!! I would love to visit Ireland one day!! Glad you got to enjoy your Spring Break! Thanks for taking us on tour in Dublin - your first pic is stunning! 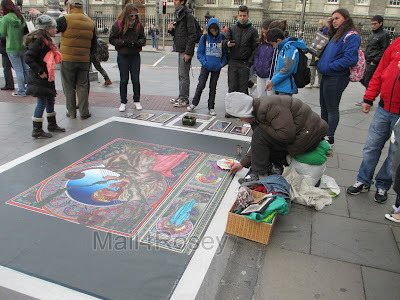 Since I'm an artist, of course I like the streetpainting:) Also love the tower, and the interior of the cathedral! Wow, what a beautiful place. The architecture and buildings are magnificent. Thanks, Judy. I love those things too! Hi there! I have ventured over from Thumpin’ Thursday. Thrilled to be connecting with someone new! What an amazing trip! I have never been to Dublin but I would like to go there someday. Wow, gorgeous pictures! I'd love to go to Ireland someday... :) until then, I'll just travel vicariously through people like you. I'm dropping by from the Travel Tuesday blog hop. Thanks for the hop by, Bonnie. That's a fun hop, and today was the first time I joined (many thanks to Kerrie for the invite :) ). Wow, looks like you had a good time. I've always wanted to go to Ireland. Years ago when my daughter was studying abroad they took a short trip to Dublin and she loved it and said that the people were so nice and every pub you went into there were whole families and lots of music and hospitality. I loved seeing this post. My great grandparents came from Dublin so its nice to see where they are from. I see just from these pictures it is beautiful there!! It's very nice, and I hear absolutely stunning in the ocuntryside, but we didn't get out to the country this time around! Your vacations are amazing! This sounds like so much fun, and the added fillip of bumping into Tom Cruise is pretty cool! I love that cathedral in the photo, it is huge! That is the best spring break I've ever heard of by anyone, ever! Thank you for your kind words. It was a very nice place to visit! 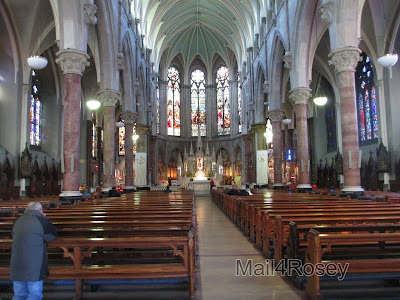 I loved the pictures of the catheral. It was amazing. Thank you for sharing. Wow> I can only imagine. Your pictures are beautiful. My son just got back from Ireland. I can't wait to see his pictures. You're blessed to be able to see the the world.I;m blessed that I can see it through others eyes. How fun that your son went! I know you will love hearing about it, it is such a fun place to go! Looks like a wonderful place, hope I am fortunate enough to visit someday. I would just sit in amazement in the church! So breathtaking with the architecture! 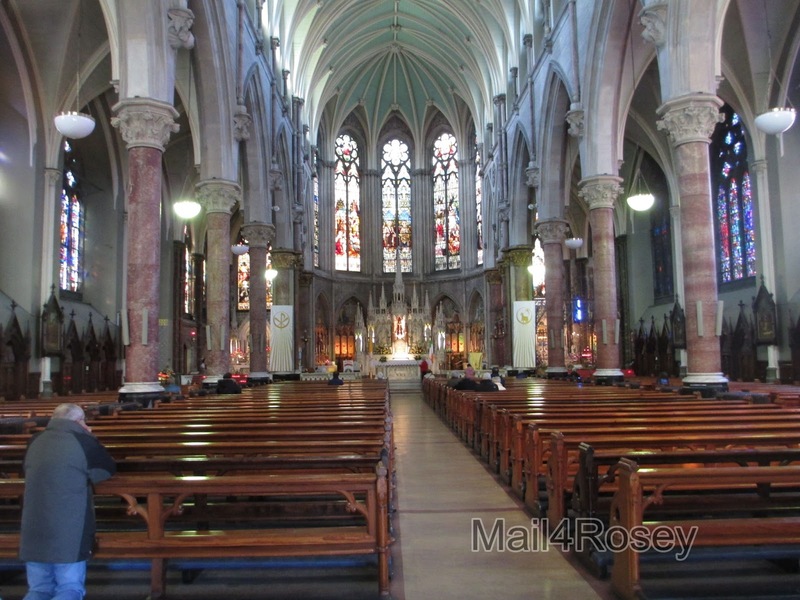 I like the interiors of the churches too. They were pretty visually stunning. Pretty amazing, love the buildings! 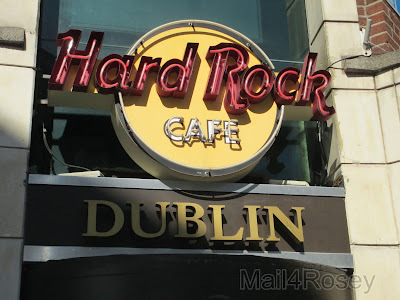 Awesome to see they have a hard rock café in Dublin. Hope to tour here some day. I have been to Ireland twice and I wish I could go back again and spend more time in Dublin...such a fascinating city. Thanks! I have been to Ireland twice. 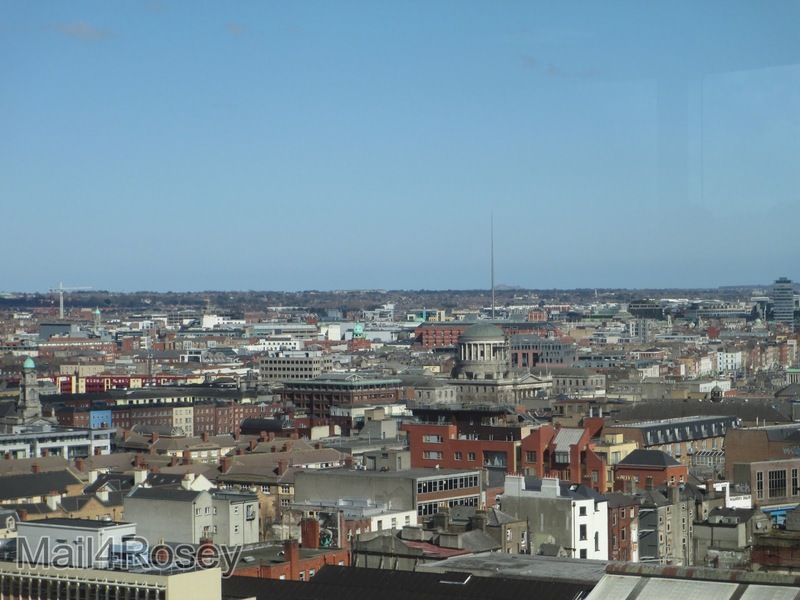 If I ever had the chance to go again I would love to spend more time in Dublin! 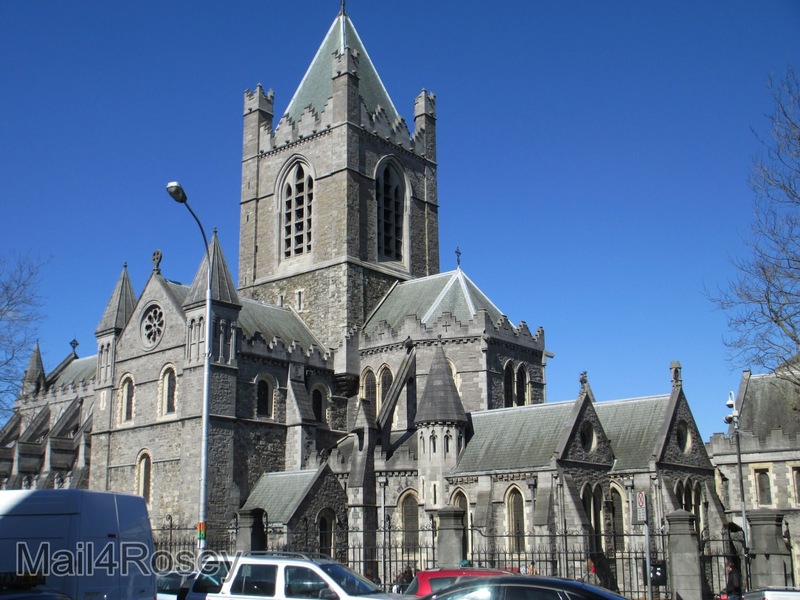 Dublin is on everybody's bucket list including mine! I would love to travel to Ireland and see Dubiln. Ireland is definitely on my bucket list. I so want to see Dublin.